Speaking of games, in June 2016, Facebook launched its Messenger version of football. But you can only play the game on the latest versions of Messenger, so update if necessary. 1) Choose who you want to play with. 2) Send the football emoji from the emoji menu. 3) After sending, tap the emoji. 2) Type @fbchess play to the thread. A chess board will appear on the thread itself. 3) Your opponent needs to make the first move. 5) As you can see, your moves are guided by the letters and numbers on the side. If you want to move the pawn on square d4, for example, type @fbchess Pd4. Go to Settings. You will be directed to the General page by default. At the bottom, you will see the Download a copy of your Facebook data. Click it and follow the prompts from there. If you are using the same device and browser in accessing your FB, your profile picture will appear on the login page. Just click it so you need not enter your username and password again and again. You have to enable this feature, however. Go to Settings. Click Security then, click the Edit link on the Profile picture login section. Hit the Turn On button. 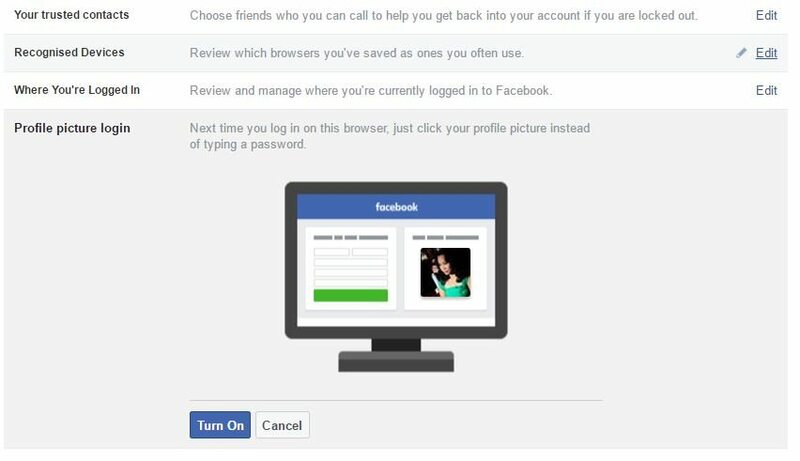 Facebook also sends a prompt the next time you log in to your account. Just click OK to enable this. 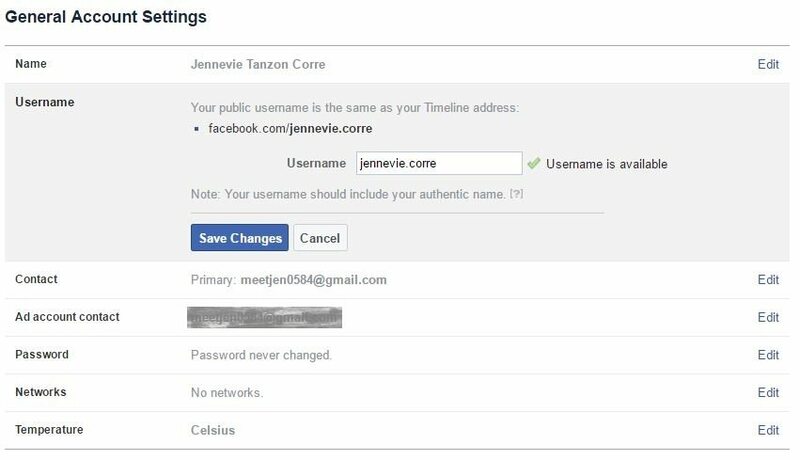 Although Zuckerberg and his team encourage the people to use usernames that include their authentic name, you can always personalize yours and thereby your URL [facebook.com/profile.php]. The username will be reflected on your URL automatically. To do this, go to Settings. Click the Edit link in the Username section. Make the necessary changes. Click Save Changes. You will be asked to re-enter your password before the change takes effect. Facebook sends notifications saying, “Name and x others have their birthdays today…” Of course, you can always be proactive about it. Nah, you forget right? If you are like many of us who tend to be forgetful, better check your friends’ upcoming birthdays. Facebook can show you whose special days are approaching. Go to your Timeline. Click the Friends tab then, click Birthdays. In there, you will see the names of the persons celebrating their birthdays today and who will celebrate theirs tomorrow and the day after. If you are using iOS, you may use the birthday cam to send a 15-second video message to your friend celebrating his or her birthday. Instead of the generic write a birthday wish on her/his Timeline, you will be prompted to post a 15-second video on the person’s wall. Visit the profile of you friend, you will see a banner at the top that gives you the option to create the video. Tap the big red button that says Wish [name] a happy birthday! Before you send the video, you may choose any of the birthday-themed frames. There is another fascinating feature of Messenger using an iOS device. You may now animate your profile pic. Yay! 1) Tap on your profile picture. You will see the flashing record icon. 3) Start recording a short video (as in up to 7 seconds only). Alternatively, you may use an existing video that you just need to edit up to 7 seconds. You may also add other elements such as emojis and texts on your profile picture. Yup, you read that right. 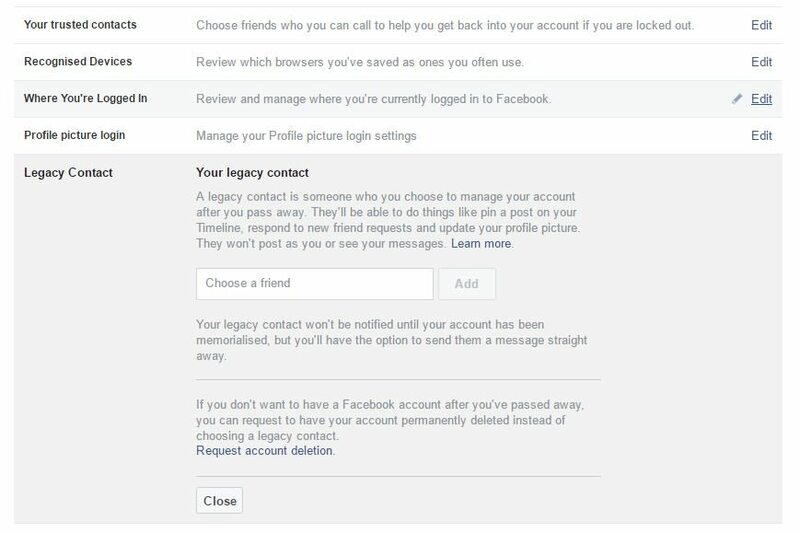 Before you leave us [sob], you can nominate someone to take care of your FB account after you are gone. It’s also a security feature called Legacy Contact. Your legacy contact can pin posts on your Timeline, respond to friend requests, and update profile pictures. However, they cannot post as you and see your messages. You may request account deletion if you don’t want anyone else handling your digital affairs when you die. You can always pay up through Facebook using a credit or debit card. You need to add the payment method first before you may send money. Of course, the recipient must have a valid payment method too. You need to select your primary currency. Click Save Changes. Now you can make page and in-game purchases. You may also use this in making donations to the cause and advocacies you care about. On Messenger, you should click the name of the person you want to send payment to. Click the dollar icon below near other icons. If you cannot find the dollar icon, click the three dots and choose the icon from there. Enter the amount. Click Next. Add your debit card. Finally, click Pay. Going back, to receive the money, open the thread, add your card and click Receive. It may take up to three business days to transfer the money wired through Facebook to your account. You need to have the latest version of the app to send and receive money. Also, if the dollar icon is not included in the menu that means this feature is not available in your location.